Exhausted. Frazzled. Worn out. This is how Kimberley Welman felt after giving birth to three babies, including twins, within 19 months. Once a marathon runner, Kimberley could barely jog around the block without wanting to keel over, but she knew she had to do something. Her health and sanity were at stake. With no clear sense of where to begin, Kimberley tried CrossFit (expensive), classes at her gym (hard to get to), running (too hard on her recovering body). Months later, she finally found a training partner in fellow mother Victoria Reihana, and discovered the joys of clean eating and High Intensity Interval Training (HIIT). 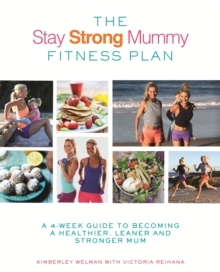 What began as one mother's mission to get her body back, has become a global movement and ever-expanding online community, full of women (with and without children) motivating one another to live healthier lives. 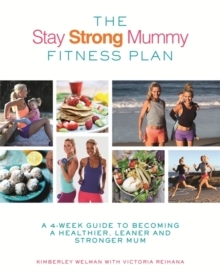 Featuring recipes, exercise routines and inspirational advice, The Stay Strong Mummy Fitness Plan will fill the mother-shaped hole in the current fitness landscape.